You know that feeling when your body is sore, achey, and tired, but you feel so great despite that? That’s me right now. Yesterday, we hiked up to Mt. Timpanogos basin. 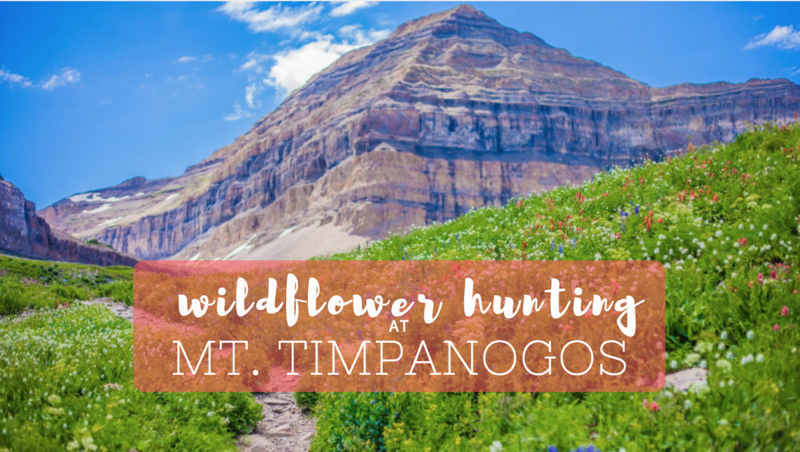 We didn’t summit the peak, but any hike up into the Timpanogos wilderness is magical— especially when the wildflowers are in full bloom! After meeting at the base of the canyon to carpool (and getting in free thanks to the National Parks pass, we headed up to the Timpooneke trailhead. I had heard that parking was usually pretty gnarly on the weekends, but I didn’t imagine it to be as bad as it was. There were cars lined up on the side of the already-narrow road, some parked on two wheels leaning towards the cliffside. *Eek! * We decided not to park illegally and risk my car tumbling down the mountain side in a designated pull-out. There were park rangers directing traffic, but it didn’t seem like they were ticketing people. Once parked, we walked to the trailhead (about a half mile) and began our hike. The trail begins in the lower aspen groves as it winds itself deeper into the canyon. 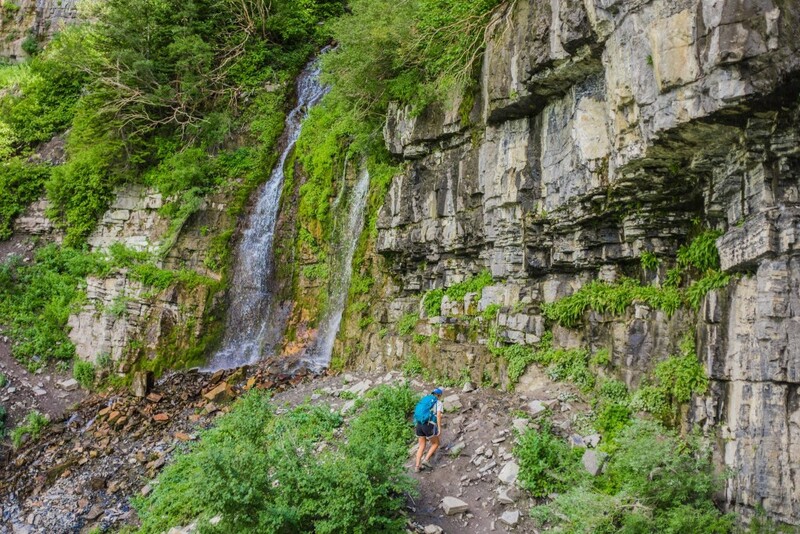 The first landmark is Scout Falls at 1.5 miles in. It’s off the side of the path on a short spur. We decided to explore this on our way down if we had enough energy (which we did)! I went with my friend Courtney (my close friend from high school/college who just moved from Florida) and Hannah (a Washingtonian living in Utah for a couple years now). 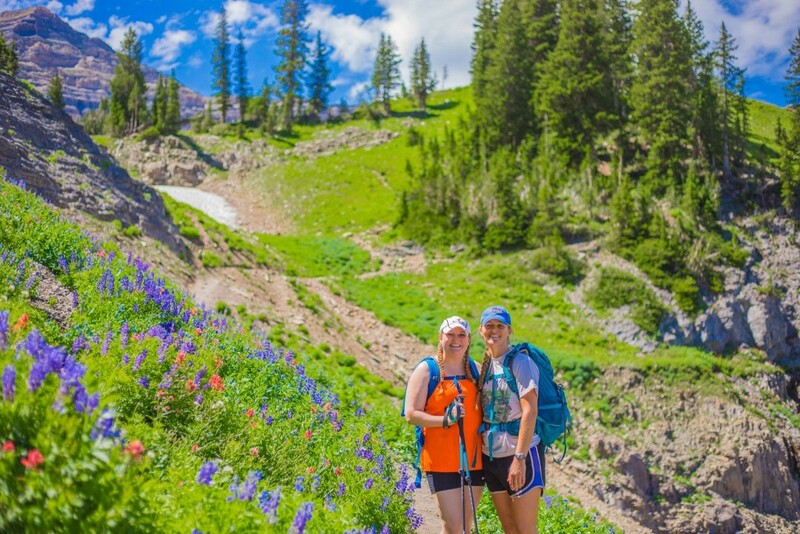 I learned something new about Hannah on this hike— She’s an expert at naming the wildflowers! She told us what the pretty multi-colored flowers were along the way. 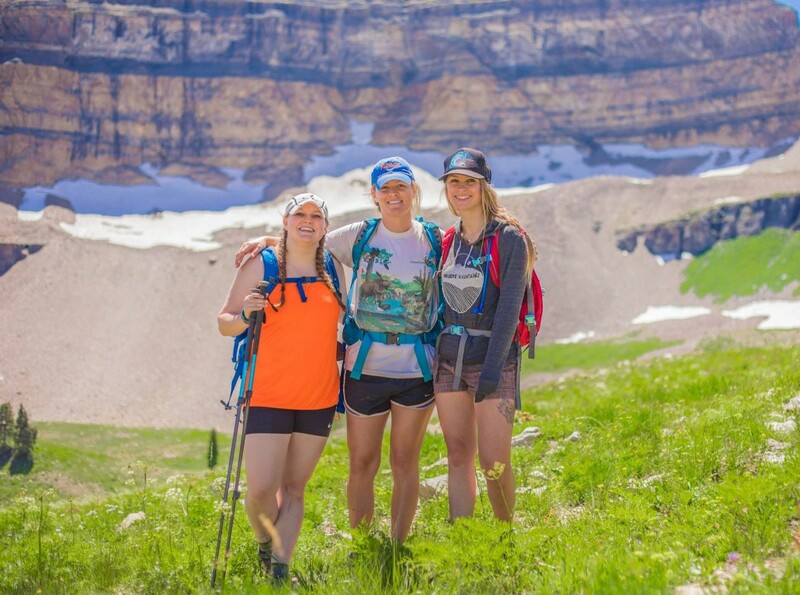 The hike is mostly gradual, so the 3,000+ elevation gain is attainable for both families and avid hikers. Speaking of which, we saw crowds of people almost the entire hike up to the basin. I guess all those cars equal people. The great news is that most people were very friendly and courteous while passing. 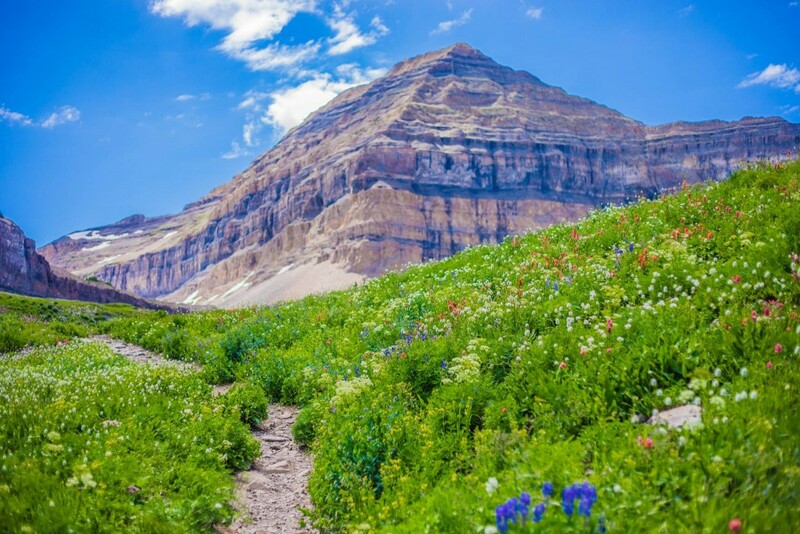 The most frustrating part of this being such a popular hike was the fact that people were picking the wildflowers and taking home bouquets of them. It hurt my heart every time I saw this. Unfortunately, most people are unaware that this is an illegal activity and don’t educate themselves about the repercussions about disturbing nature. I believe in taking lots of photos, but leaving only footsteps. I hope that this message can be passed on to others as well. We ate our snacks on a rock while we snapped photos and took in the views. After relaxing for about an hour (it passed so quickly! ), we took the trail back down towards the trailhead. Last visit, the funniest part of the hike was the random toilet perched on this mountainside. 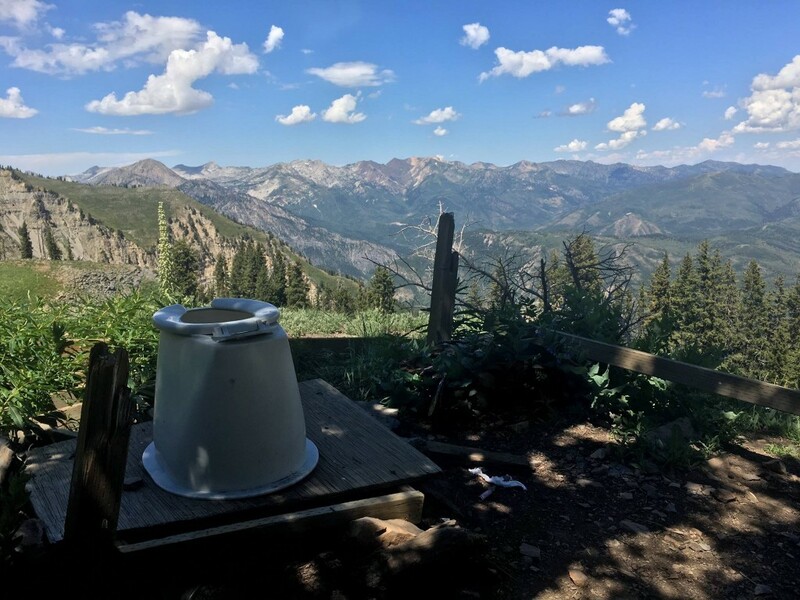 I told Courtney and Hannah how this was one of my favorite parts of the hike because it’s just a toilet— no pit, no walls, no toilet paper— with the best view ever. The toilet was pretty disgusting from the last time I remembered it, but I couldn’t resist a photo nevertheless. On our way down, we took the spur for Scout Falls. It was a neat little bonus to the hike where you can stand underneath this cascading waterfall. 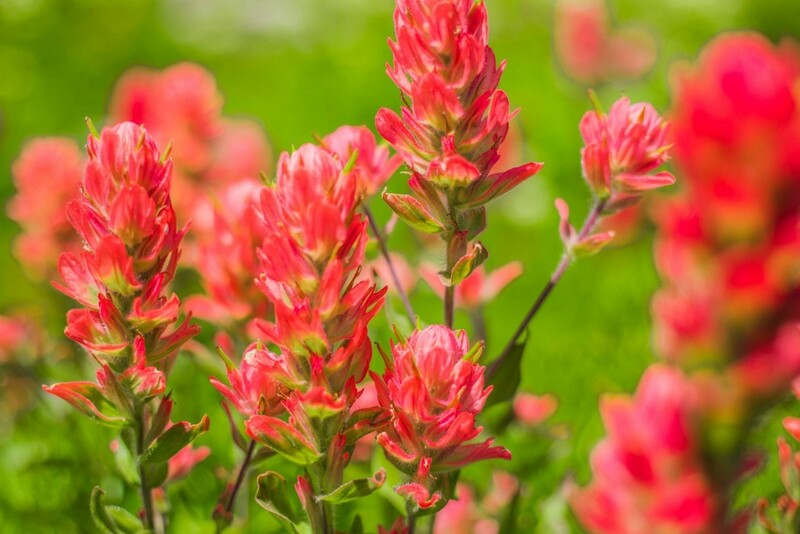 Where are your favorite places to view the wildflowers during the summer? 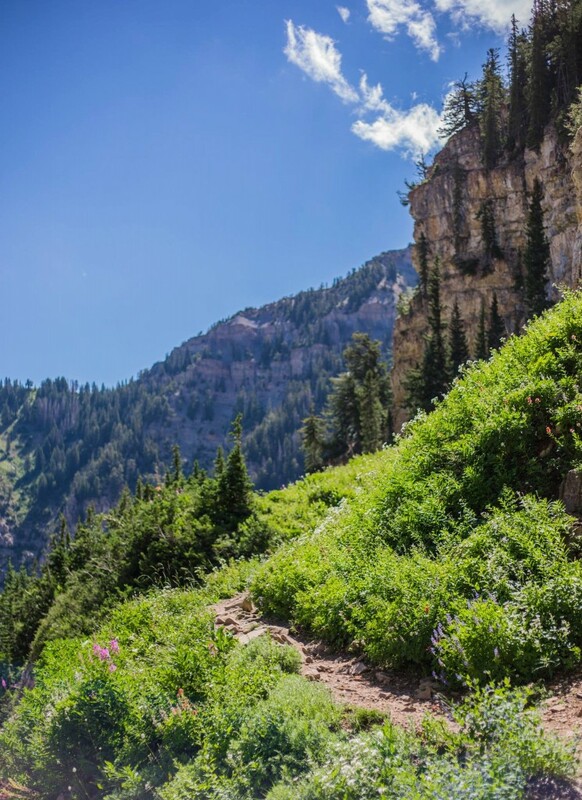 I’m always looking for neat spots to hike and enjoy the flower-show during the summer months! Just stumbled across your blog! I am also a UF grad and photographer who lives out here now (Ogden). Fun blog, I’ll be following! Hey! That’s awesome to hear! I bet we have some mutual friends. UF & Utah are small communities. 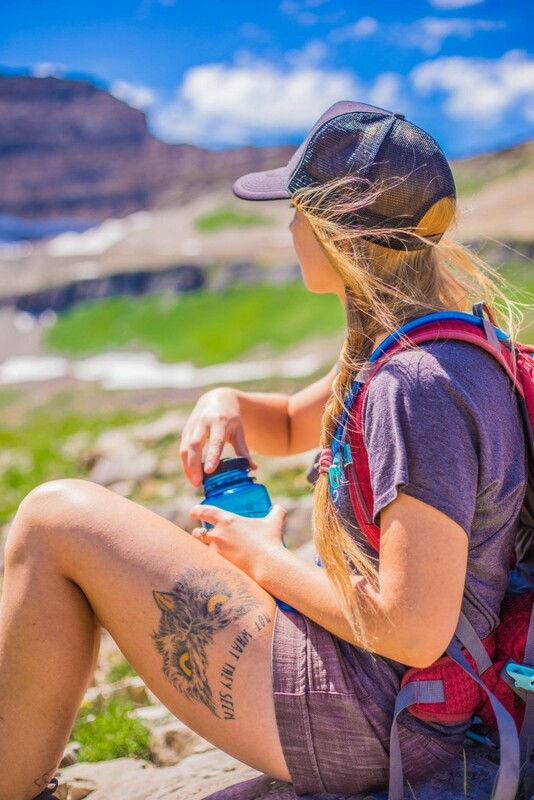 What do you do up in Ogden– is photography your full time job? My half-time job! Photography on the weekend, and am a stay at home dad during the week. Also an avid hiker so I’ve really enjoyed reading through your blog. I feel you there! I do photography sessions on the weekends and work full-time during the week. I appreciate your comments! Your photography is AMAZING by the way! Can I take my dog on the mt. 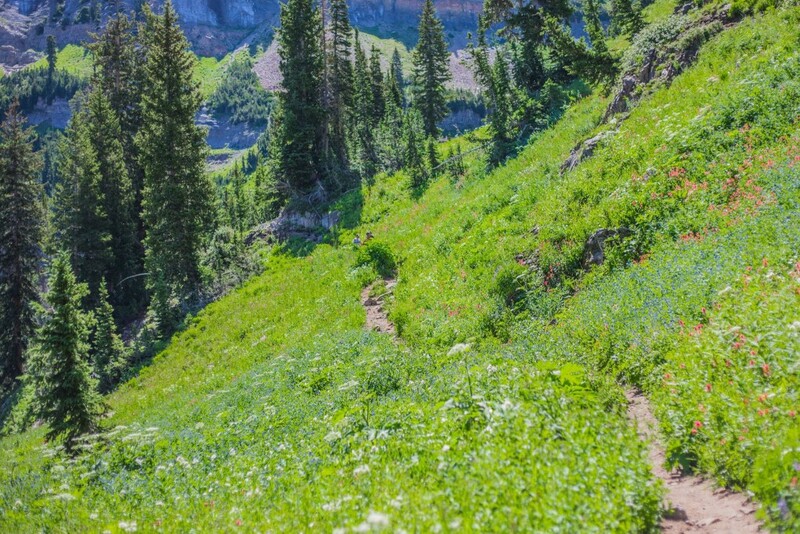 Timpanogos cave trail? Hey Marcel! Unfortunately, dogs are not allowed on the cave trail, but they are allowed on the trail that I went on in this post! Great adventure! Wildflowers are really stunning. I love your photos with the great scenery! Thanks Daisy! It’s so breathtaking up there.